Adderall, or dextroamphetamine-amphetamine, is a stimulant used to treat Attention Deficit Hyperactivity Disorder and narcolepsy. It’s also a Schedule II drug, which means that it has a high potential for abuse, as demonstrated by the thousands of college students that abuse it every year. What its abusers might not be considering, however, is that Adderall has a slew of nasty side effects ranging from relatively minor to extremely dangerous. For instance, it can lead to nausea, vomiting, headaches, weight loss, nervousness, restlessness, dizziness, weakness, hallucinations, blurred vision, insomnia, irritability, hair loss, loss of appetite, sexual dysfunction (oh no! ), increased heart rate, and heart palpitations, as well as psychological damage in the forms of depression, anxiety, and paranoia. A particularly unlucky abuser may find themselves having a heart attack, seizure, or stroke, while the unluckiest of unlucky abusers may die. Death by Adderall overdose is very rare, but yes, it is possible, and yes, it does happen. More often, Adderall overdose leads to an ER visit. According to data from the Drug Abuse Warning Network, there were 1,489 emergency room visits related to Adderall misuse in 2009. If that’s not enough of a risk, consider that Adderall can also lead to psychological and physical dependence. Unfortunately, it looks like many college students either don’t know about the dangers of Adderall, or they simply don’t care. In a survey of 1,811 college students, only 2 percent thought that use of Schedule II amphetamines was “very dangerous”, and 81 percent thought that it was either “not dangerous at all” or “slightly dangerous”. This attitude is reflected in the number of college students using Adderall: according to research done by the Johns Hopkins Bloomberg School of Public Health, 60 percent of all non-medical Adderall usage from 2006 to 2011 was among 18-to-25 year olds. A 2009 study by the National Survey on Drug Use and Health claims that 6.4 percent of full-time college students—ages 18 to 22—participated in the non-medical use of Adderall, as opposed to 3 percent of 18-to-22 year olds who were not in college. And a 2012 study published in the Journal of American College Health found that 61.8 percent of the 1,253 students surveyed were offered Adderall at some point in their college careers, while 30 percent of students surveyed actually used it. It isn’t hard to imagine why college kids use Adderall. It—and other prescription stimulants like Ritalin—is often referred to as a “study” or “smart” drug because of its ability to increase focus and productivity. 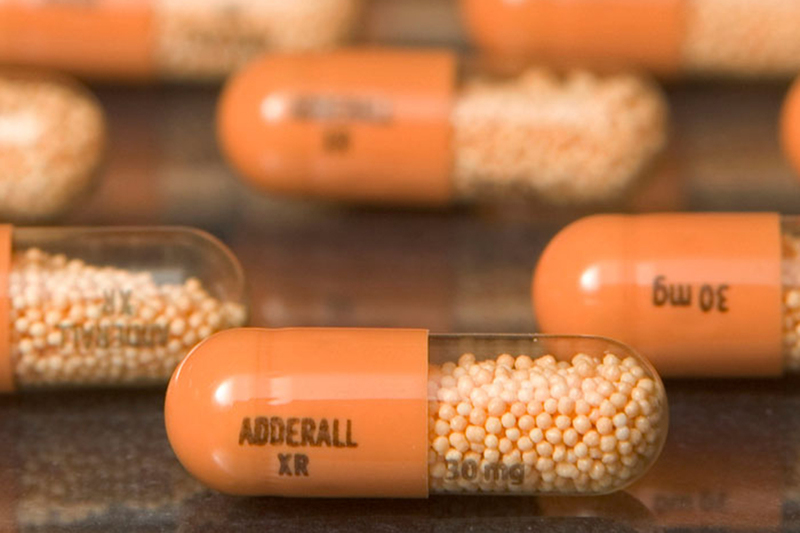 A Brigham Young University study found that Adderall abuse on college campuses is highest at the end of the fall semester, when students are cramming for finals. However, there’s no evidence that Adderall usage will make you a genius, or even an A student—a University of Michigan study found that most college Adderall users had below a B-average grade. “There’s this idea that [Adderall] is some sort of miracle drug [that can] make you smarter, but I don’t know of any research out there to support that. And it has addictive tendencies, and it builds tolerance. It’s a drug that you can become reliant on,” says Dr. Lee Johnson—Medical Director at Sparks ER in Fort Smith, AR, member of the Arkansas Board of Health, and Hendrix alum. With that in mind, Hendrix students struggling with the weight of their work load may want to consider safer performance-enhancing options, like carefully budgeting study time, attending tutoring sessions, or relying on good old coffee.